Are you afraid of clowns? Coulrophobia has been coined as an informal term for a severe fear of clowns. Officially, it falls into the category of a specific phobia if it is persistent and interferes with normal functioning. Many people experience a discomfort with clowns that isn't a true phobia. Hospital Clowns Scary or Soothing? Fear of clowns can be a problem in the case of medical clowning, which is often done in pediatric settings as a way to relieve children's anxiety. One study in the U.S. found a 1.2 percent prevalence of fear of clowns in pediatric patients, with over 85 percent of the children who had that fear being girls. They felt fear even thinking about a visit from a clown. However, other studies find a very positive role for hospital clowns. Meanwhile, other researchers found that four out of 14 pediatricians and pediatric residents they polled considered themselves afraid of clowns. BBC News tells of a survey done at British hospitals by the University of Sheffield that found all 250 children (age 4 to 16) who were polled expressed a fear or dislike of clowns. Why might people dislike or fear clowns? Joseph Durwin of Trinity University postulates that there are two commonly accepted schools of thought. One is that the fear is based on a negative personal experience with a clown at a young age. The second theory is that mass media has created a hype surrounding evil clowns such that even children who are not personally exposed to clowns are trained to dislike or fear them. However, neither of these theories is entirely satisfactory. Durwin continues into an impressive history of the clown, dating back to the jester or fool of ancient times. In those days, the clown was given permission and even expected, to represent the deviant side of human nature, from openly defying the sexual norms of the day to mocking the gods. As time went on, the jester morphed into the trickster, a more sinister figure with intentions that were less than honorable. The modern circus clown is an outgrowth of the tramp clowns of the Depression era. Tramp clowns were largely members of the "unsavory" underclass who entertained the most privileged with a caricatured look at their daily existence. Although most tramp clowns were harmless, a seedy underbelly did exist among the clown circuit. By the 1980s, clown phobia had reached a peak. Rumors of ritual abuse of children were rampant, and clowns figured heavily into many of the stories. Spontaneous reports of clown harassment began pouring in from children nationwide. Even urban legends began to focus on killer clowns lying in wait for hapless babysitters. Soon Stephen King tapped into the national consciousness with the definitive killer clown work of fiction, It. In the decades that followed, killer clowns have become a part of our human myths. At Halloween events, killer clowns are often part of the festivities. Yet the killer clown's innocent cousin, the circus clown, continues to delight and amaze the young and the young at heart. How can we justify this seemingly incompatible coexistence? A possible explanation can be found by looking to the past. Throughout history, clowns have represented the side of us that is not acceptable to society. That side is formed from our most primal urges and is not always neat or pretty. Perhaps the clown both attracts and repels us because he or she holds up a mirror to our inner selves. Until more research is performed, the causes of clown phobia will remain firmly in the realm of speculation. Fortunately, it is possible for mental health professionals to treat clown phobia, as any other phobia, without learning the precise reasons for its development. Finlay F, Baverstock A, Lenton S. Therapeutic clowning in paediatric practice. Clinical Child Psychology and Psychiatry. 2013;19(4):596-605. doi:10.1177/1359104513492746. Meiri N, Schnapp Z, Ankri A, et al. 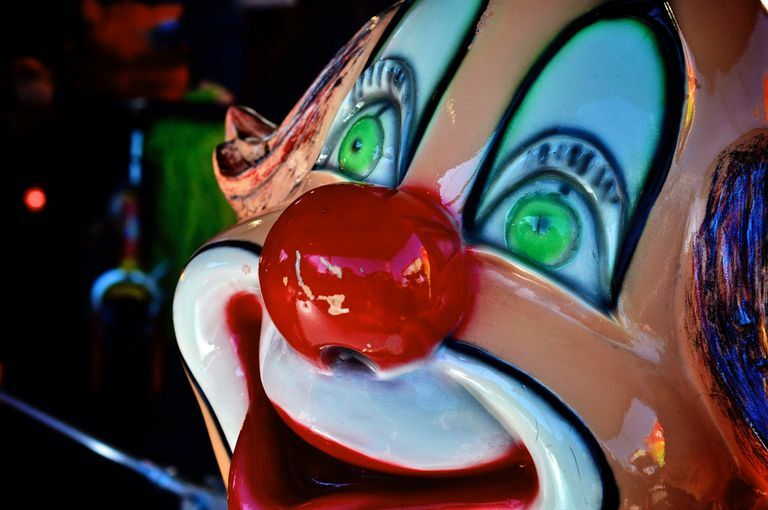 Fear of clowns in hospitalized children: prospective experience. European Journal of Pediatrics. 2016;176(2):269-272. doi:10.1007/s00431-016-2826-3. Venrooij LTV, Barnhoorn PC. Hospital clowning: a paediatrician’s view. European Journal of Pediatrics. 2016;176(2):191-197. doi:10.1007/s00431-016-2821-8.